Illegal IPTV services can be found all over the world but if recent investigations are an accurate barometer, several countries in the European Union are hotter locations than most. 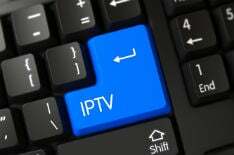 While Spain, Bulgaria and the Netherlands have all seen raids or arrests, it is the UK that keeps featuring regularly in IPTV investigations. This week is no exception. Following an investigation and referral by the Federation Against Copyright Theft, two people were arrested yesterday in connection with the unauthorized streaming of TV broadcasts. Officers from Hampshire County Council’s Trading Standards unit assisted by local police executed a warrant at an address in Bursledon, Hampshire. Local media reports that a 41-year-old man and a 30-year-old woman were arrested under suspicion of offenses under the Copyright, Designs and Patents Act 1988 and money laundering. “Providing copyright material such as that from Sky or BT Sport, brings a significant loss to legitimate businesses – this is illegal and I would urge residents to be careful when they are signing up to subscription services from third parties as it is also illegal to watch,” Hampshire County councilor Roy Perry said in a statement. The arrests stem from a year-long multi-agency investigation, initiated by the Federation Against Copyright Theft, which identified pirate IPTV suppliers in the UK. Portsmouth.co.uk adds that yesterday’s arrests are part of a wider investigation coordinated by Europol, which has already led to warrants in South Ireland and Scotland. Investigations involving Trading Standards are relatively rare in the UK but not unheard of (1,2). Perhaps the most notable was the prosecution of modded Kodi box seller Brian ‘Tomo’ Thompson who was handed a suspended sentence in 2017.